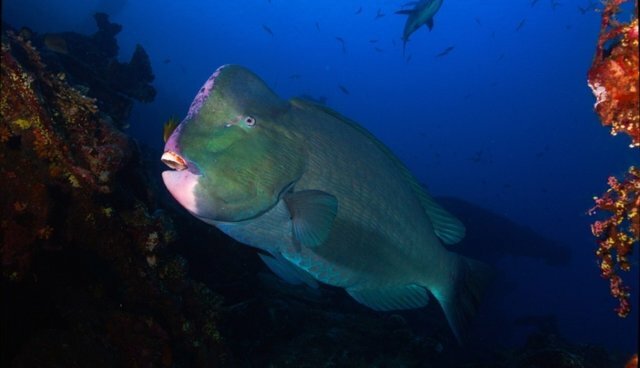 With oversized chompers, bumphead parrotfish munch their way to helping -- and, to a degree, hurting -- coral reef ecosystems. 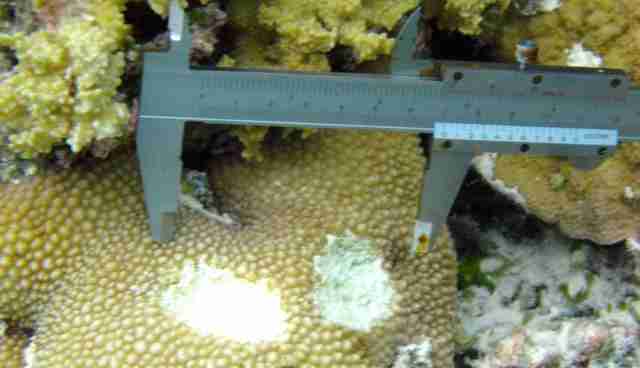 To the coral's benefit, these rare fish feast on on algae that out-compete reefs for resources. Parrotfish also crunch down on the coral itself, however. That endangered species can be both an ecological boon and bane is an often-overlooked fact -- but it's a fact that's important to understand, researchers say, to better conserve rare animals like parrotfish and elephants. It took hours of underwater observation to shed light on the dual role bumphead parrotfish play in their coral homes, according to a new report in Conservation Biology. "We actually swam alongside bumphead parrotfish for close to six hours at a time, taking detailed data on what they ate and where they went," says UC Santa Barbara marine biologist Douglas McCauley, in a press release. A single parrotfish -- up to 4 feet long and weighing over 100 pounds -- can eat up to 2 tons of coral per year. "These large parrotfish crunch off entire pieces of reef and audibly grind them up into sand in their pharyngeal mill -- specialized teeth in the back of their throat," McCauley says. "You know bumpheads are near when you begin noticing branches lopped off stony corals and golf-like divot scars marking the reef." But there's a silver lining to a parrotfish's penchant for reef snacks. 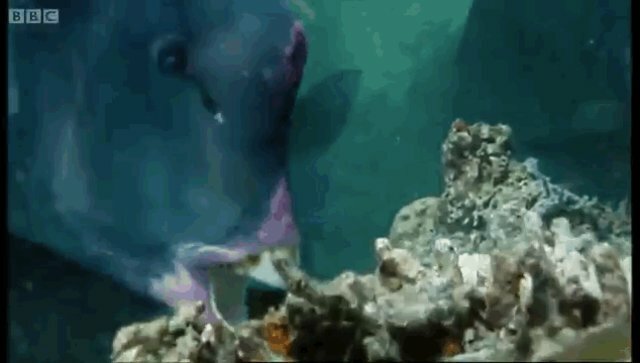 The fish are messy eaters, and the coral crumbs they dust across the sea floor can grow into new reefs, similar to the way birds and other wildlife spread seeds. McCauley draws a parallel between bumphead fish and African elephants. Both species face hunting and habitat loss as serious threats -- and both have a huge impact on where they live. Elephants, for example, knock over trees to get at fruit, deforestation-182839238.html">potentially exacerbating the deforestation already wrought by humans in Africa. "These effects are particularly strong in areas where elephants have been artificially confined in high-density aggregation," McCauley says.